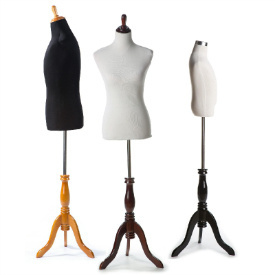 Display clothing in elegance with our white male dress form on a natural colored wood tripod base. Use the product’s drop down menus to configure this dress form to your needs. Once fully configured, the product images should reflect the dress form choices you have made. Full Package - this product is the full dress form package - which includes the torso, base and neck cap. For the individual dress form pieces, please see our dress form accessories section. 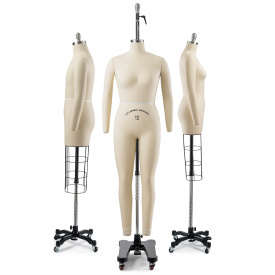 Adjustable Height - multiple t-screws (one on the pole and one under the torso) allow for a wide range adjusting the dress form to the perfect height - from 4.5 to 6 feet. Multiple Connectors - our dress form torsos are built with two connectors underneath for attaching the base pole (one in the center and one to left). Using the leftmost connector for the pole (not pictured) will allow this dress form to be fitted with pants (as the pole will go through the left trouser leg). 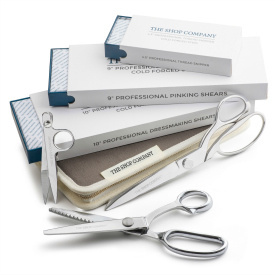 Sewing - can be used for displaying clothing in a store, dressing outfits at home, or sewing. A layer of foam underneath the fabric cover allows for pinning. For more advanced tailoring and more size options, please see our professional dress forms.